Hello everyone, today I thought I’d chat a wee bit about a product thats completely new to me. Obviously I’ve tried it out and its not new to me now but the whole idea was something I’d never really experienced before. 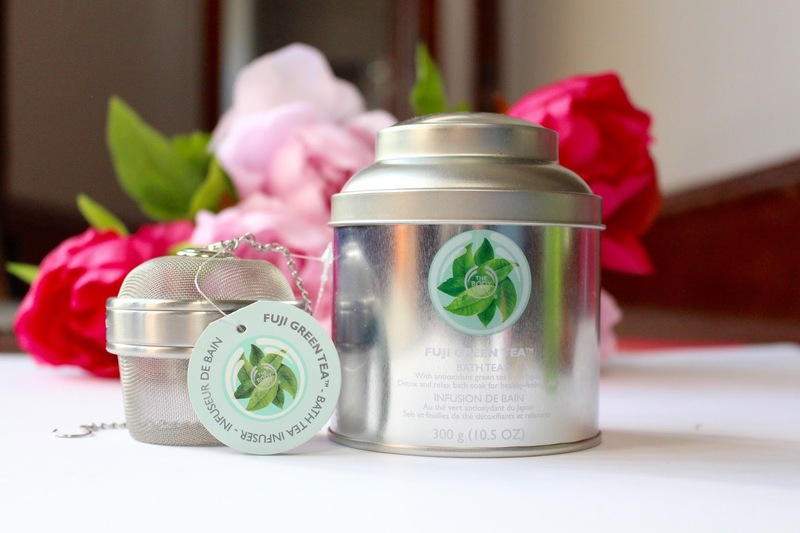 I think nearer the beginning of the summer (I could be wrong) The Body Shop released their new scent – Fuji Green Tea. I typically wouldn’t have reached for a scent like this but the product itself really intrigued me. I can’t say I’ve heard of such a thing as a bath tea before, but after trying out this one I’m definitely keen to try out more bath products in the same form. 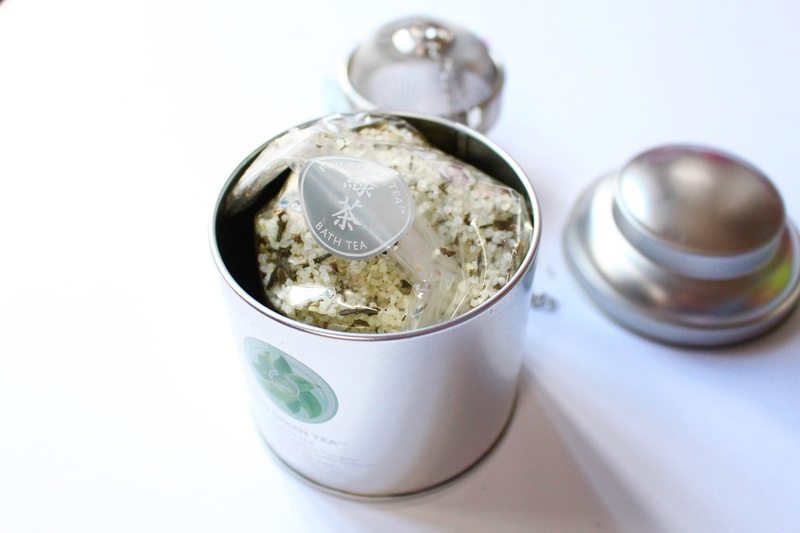 The Fuji Green Tea scent is a beautifully fresh scent that still has a lovely warming undertone, making your bath smell refreshing but not sterile which I adore. The idea behind this is that you pop some of the Bath Tea into the little strainer and let it steep into your bath water like how you would with a regular drinking cup of tea. Its a strange concept but it worked really well, the crystallised granules of the tea dissolved into my bath water turning it a pretty blue-green colour. The tea leaves stayed in the strainer and my whole bathroom was flooded with the beautiful scent. There were no bubbles but I added a little scentless bubble bath and I was good to go. Its a very relaxing scent that really aids in de-stressing after a long day and green tea in general has lots of added benefits to your body and skin. After my bath I felt very clean and calm and my skin felt nice and soft. All-in-all I think this is a pretty cool and unique product, and I love how chilled out it made me feel in my bath! I love the cooler months as its the perfect time to start re-introducing baths into my routine. Whats your favourite bath product?